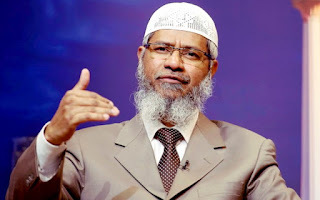 The minister in charge of Islamic affairs today hit out at Indian Muslim preacher Dr Zakir Naik, saying his combative style of propagating the religion by putting down other beliefs is not suitable for Malaysia. Naik has denied the charges, saying he is a victim of the Indian media whom he accuses of sensationalising the issue in their quest to get a bigger audience. The 52-year-old televangelist, who was close to leaders of the previous government and was granted Malaysian permanent resident status, is fighting attempts to have him deported. Mujahid said as the minister in charge of Islamic affairs, he was also responsible for defending the rights of other religions. He said Islamic missionary work in the past was successful because it did not attack other beliefs. “When has Islam been spread by insulting other religions? If Islam is compassionate, there is no need for insults,” he added.